Planning a wedding is a lot of work – but it’s fun work, if you do it right! 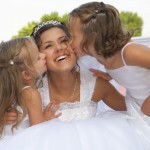 CharlestonBrides.com is your source for creating the wedding day of your dreams – and dispelling confusion over how to plan all those essential details. We’re all about supporting the local artisans of Charleston, Mount Pleasant and the surrounding islands so that your day is as unique as your story. We’ll never steer you in the direction of a chain – we want you to get to know our neighbors and feel the touch of southern hospitality that inspired you to choose Charleston to begin with. On CharlestonBrides.com, you will find resources for the perfect venue, THE dress – as well as dresses to make your bridal party members look ravishing – delicious options for rehearsal dinners and receptions, beautiful flowers, talented photographers and much more. We are here to ensure that Charleston’s exquisite taste in all things related to your wedding are at your fingertips, from now until happily ever after. Check out our list of great places to hold your wedding ceremony or glorious reception afterward. We’ve collected some excellent locations to make your special day just a little more memorable. Planning a wedding can be hectic & time-consuming but we want you help you make the best use of that time – so we’ve assembled this list of Wedding Planning Checklists we hope will help you organize & stay a little happier. Our Bridal Preparation Directory can help getting ready for your big day a little easier. Check our directory to find great places for facials, makeup, and hair as well as places to shop for your clothing and shoes.